Pennsylvania Coalition for Healthy Families and Workplaces (Paid Family Leave Paid Sick Days): Sign the Earned Sick Days Petition! Sign the Earned Sick Days Petition! Now is the right time to make sure that everyone can afford to get better. In this economy, people can't afford to lose jobs or their pay when their child starts running a fever. 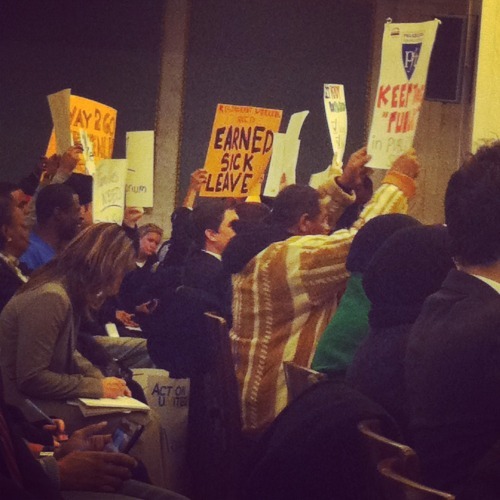 Yet two in five Philadelphians go to work each day knowing that the common cold could put their job on the line. Won't you join us in making sure five out of five working Philadelphians can earn a minimum standard of earned sick days to care for themselves, their children, and their economic future?